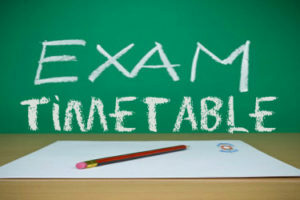 UPDATE: Due to our Senior boys playing in the Connaught Finals, the exams scheduled for Wednesday the 6th have been moved to Tuesday the 5th. Supervised study will be provided on Wednesday for those who do not wish to attend the match. Updated timetables are now available to download below.